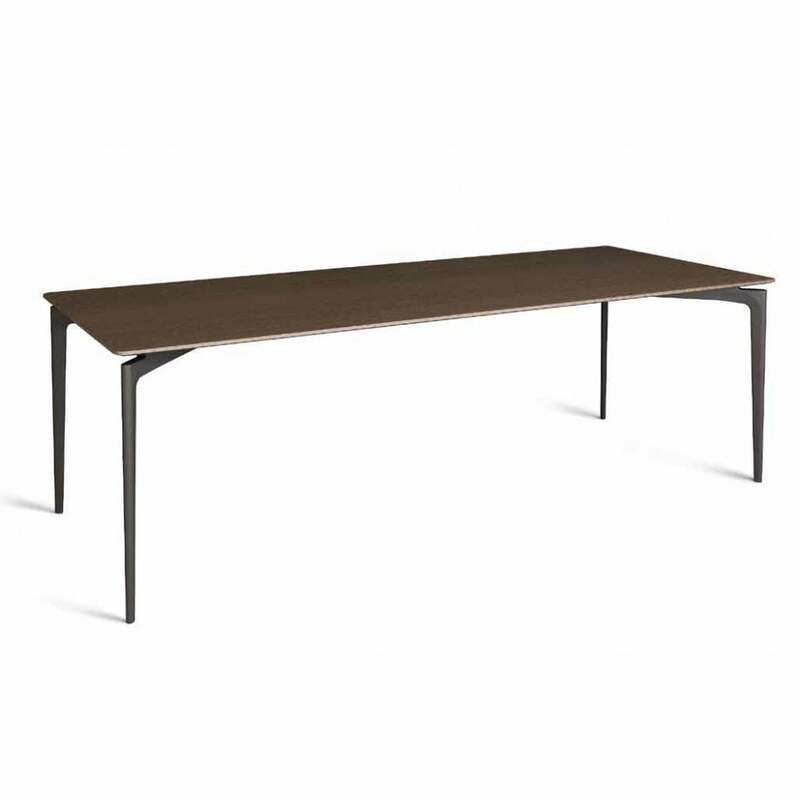 Essential lines and formal minimalism characterise the design of this perfectly balanced table. Die cast chrome-plated or painted aluminium base. Top available in marble, glass, “Di Colore” walnut, heat-treated oak, matt lacquered MDF or acrylic stone. Other sizes available.